Sonos Super Bowl sale: Save $200 on Sonos home cinema speakers now | What Hi-Fi? Celebrate the Super Bowl with a new AV system! 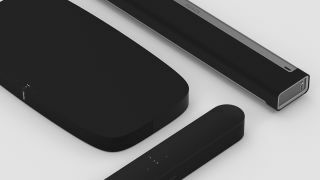 Sonos is offering savings of over $200 on its Sonos Beam, Playbar, Playbase and Sub packages ahead of the Super Bowl. With game day just a fortnight away (Sunday Feb 3rd, 6:30 pm ET), now is a good time to snap up an AV deal - especially if you're looking to build your first (or expand upon an existing) Sonos system. The deals are plentiful, available now, and see the new Beam shed $50, while the 5.1 Surround Set with Playbase and One is now only $1577, down from $1796. With deals on individual products as well as various AV pairings, there really is something for every Sonos fan to take advantage of. Below are the best deals available now on Sonos.com.